Bonhams Auction House in London has a Ref. 3646 / Type D “Kampfschwimmer” in their Fine Watches & Wristwatches auction (LOT273) on december 4th, 2013. The Rolex Cal. 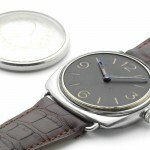 618 / Type 1 movement, typical for 3646 watches of this type, is matching our database criteria. A tubular crown (“Oyster Patent” inscription / Type 13) is screwed down on the neck of the 47 mm cushion shaped case. 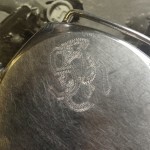 The outer caseback of the watch bears the initials of its first owner, a german frogmen (H Sch), which leads the traces back to the end of the 2nd world war, when the watch changed ownership to a servicemen of the United Kingdom. Here it has been kept for the following 68 years as a memorable piece. 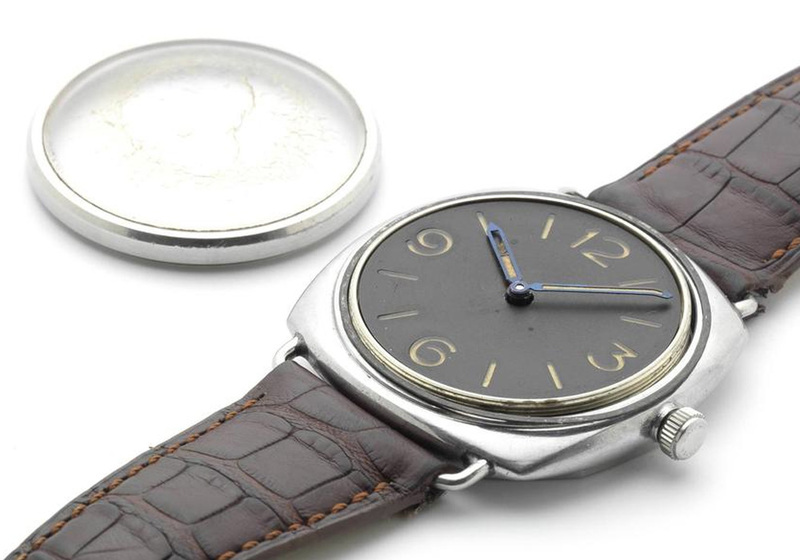 It is fantastic to see such a rare watch surfacing in “untouched condition” after so many years, which makes it also a new entry into our database. Further informations on rare Ref. 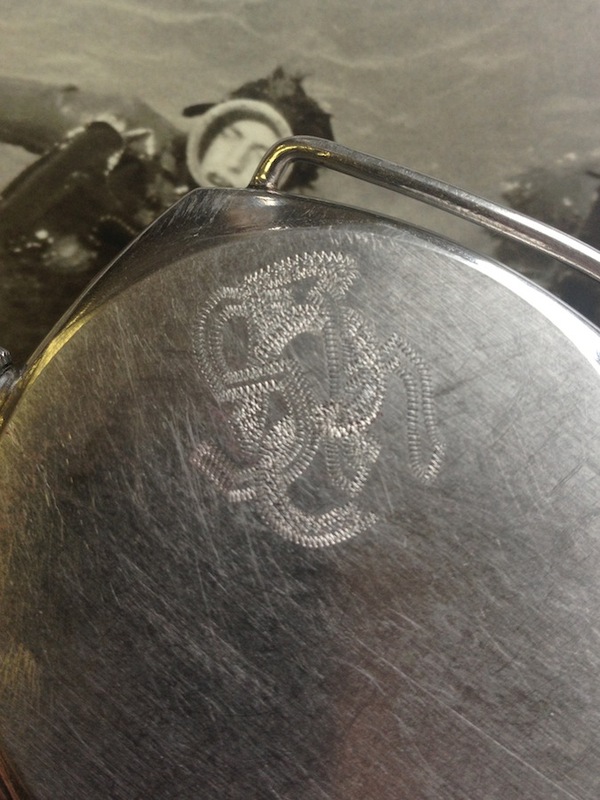 3646 watches with similar engraved casebacks can be found in our two books History1 and History2.